If you’ve ever wanted to make a sphere in Sketchup, you may have become frustrated to realize that there is no sphere tool in Sketchup. 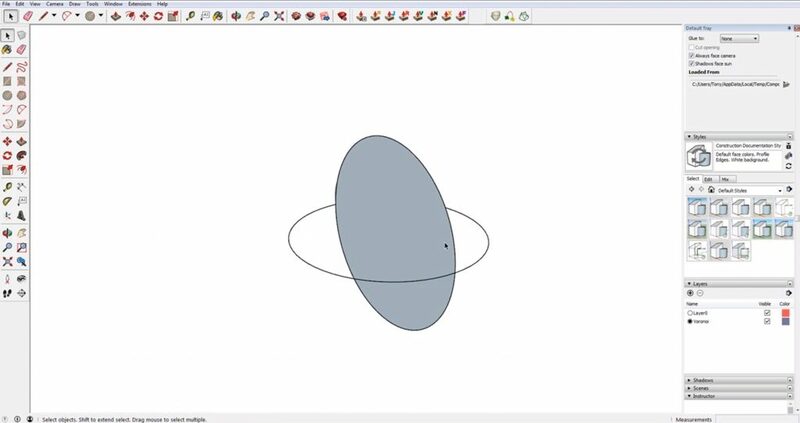 There may not be a quick tool for it, but in this beginner tutorial we’ll go over a super simple way to create a sphere using Sketchup! This method will give you even more control over what the sphere will look like since you are starting from scratch. Let’s get started! Draw a Second Circle. Before you draw your second circle, type in the number of sides you want it to have in the lower right corner. The more sides you have, the less angular the sphere will look. For example, try typing in “10” for the number of sides. Click the center of your first circle and drag your mouse to select the edge of the circle. You can already tell that the edges of the second circle are very angular. Delete the face of your first circle and select the path. Then go to “tools” and select the “follow me” tool. Then select your circle. As you can see, the finished sphere is not very smooth when we only use ten sides. 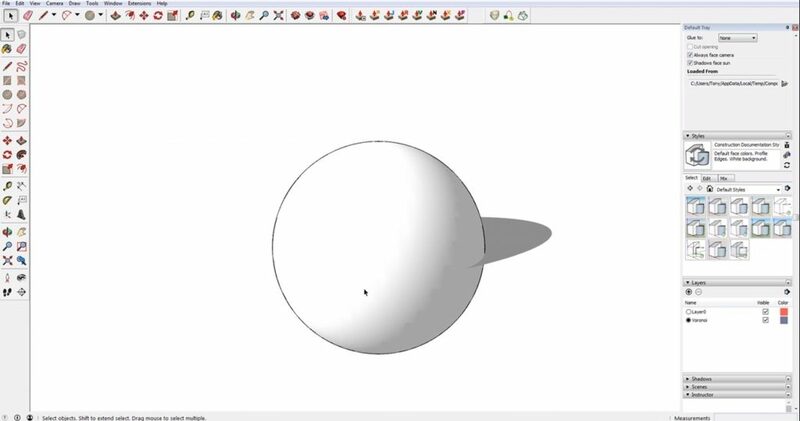 To fix this and create a smoother sphere in Sketchup, try using a higher number of sides instead. Draw a Second Circle. This time, before you draw your circle, type “100” into the “sides” box in the lower right corner. Hit the right arrow key on your keyboard to lock it to the red axis. Click the center of the first circle you drew and then select the edge of your first circle. The radius should be the same as the first circle you drew. You can see that the edge of this circle is already much smoother than when we tried to use 10 sides. Select Path > Tools > Follow Me > Select Circle. Once you have both circles drawn, you can create a sphere. Select the edge of the first circle you drew. This will be the “path.” Then go to the “tools” dropdown menu and select “follow me.” Finally, select your second circle to finish the shape. You now have a completed sphere with a smooth surface! Depending on how large your circle is, you may have to experiment with the number of sides you use. 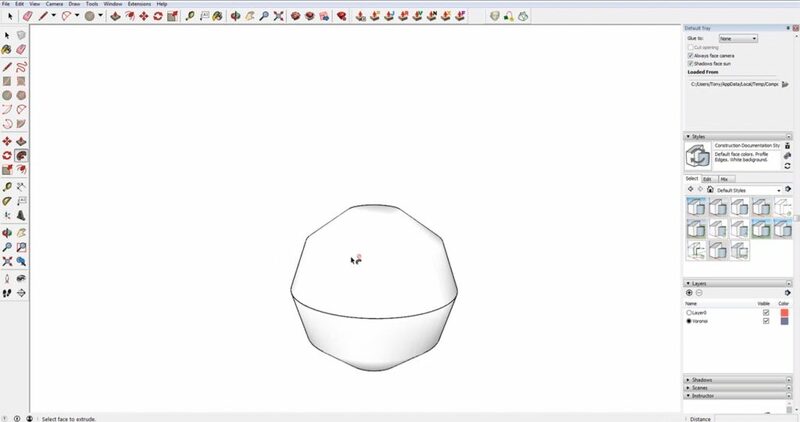 No matter the size, using this method to create a sphere in Sketchup will give you a smooth and accurate shape every time! Still need help making different shapes in Sketchup? 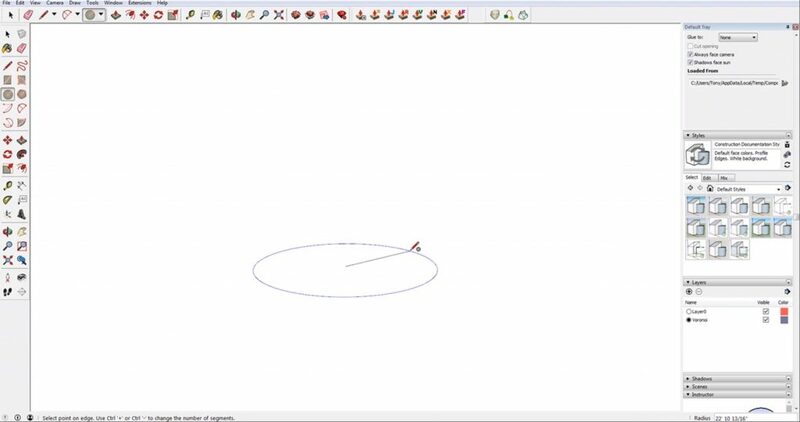 Check out this tutorial on how to make curved shapes in Sketchup or how to push/pull curved surfaces. What other shapes do you need help building in Sketchup? Let us know in the comments!